We’re tired of being presented with bland Pinot Grigio in pubs and restaurants around the country. That’s why we’ve gone out of our way to show you the potential of this popular variety. 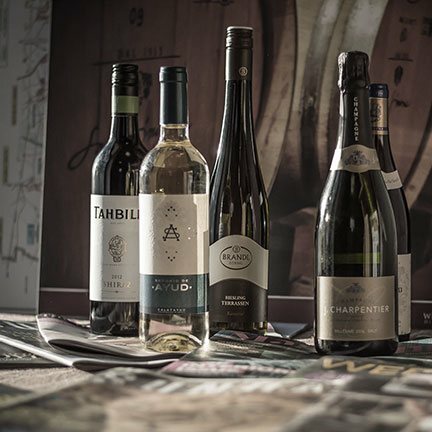 We’ve chosen premium examples from artisan winemakers in Italy and New Zealand that prove it’s not all insipid, mass market stuff. Pinot Gris (French) and Pinot Grigio(Italian) is one and the same grape, the latter being the more well-known term due to Italy’s proficiency with it. Its heartland there is Friuli in the north-eastern corner, close to the Slovenian border. Our favourite producer is Giorgio Colutta who makes a zesty apple and pear infused wine that, dare we say it, is almost full bodied! For something completely different, however, we urge you to try Paddy Borthwick’s Pinot Gris (or “Paddy B’s Pinot Gris” as it’s affectionately known here). New Zealand is fast becoming a premium region for the variety so be the first to impress your friends with this Alsace-like, rich and fruity white. Browse through our selection below, then select and buy pinot grigio online.